There are times when you read a bad news about a stock but are not fully confident of buying its put options as this is an uncertain market you never know what may happen in a few days. 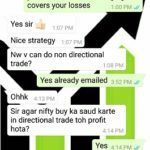 In cases such as these what may a trader do? 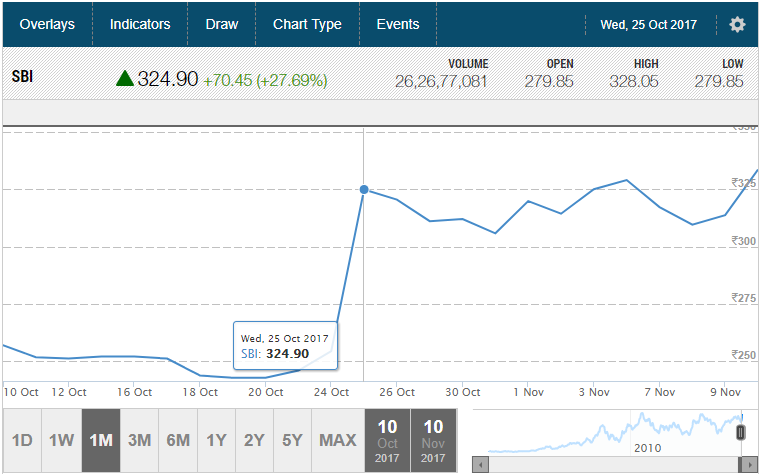 Imagine if someone was short in SBI on 24-Oct-2017. He will repent his losses for hid entire life. This is the reason I keep telling LEARN HEDGING. Those who hedge are free from such stress of gap up or gap down opening. Hedge has the ability to protect huge losses by a huge percentage depending on the quality of the hedge. 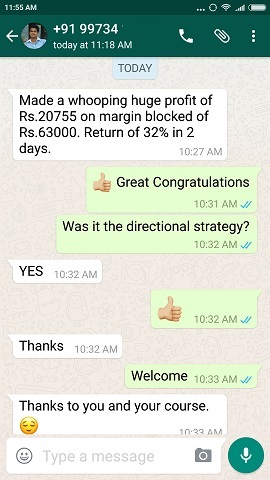 In my course the the directional strategy is made in such a way that even if you are wrong in direction of the future you can make money. 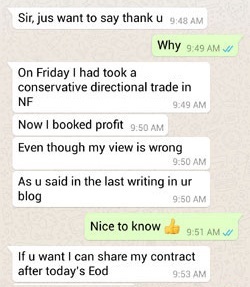 Yes you read it right – even if wrong you and making money. Of course as mentioned you can buy a PUT to keep the loss limited. But due to time loss the premiums can get evaporated in air pretty fast – premiums getting reduced with time means your money also going up in the air. Sad but true. 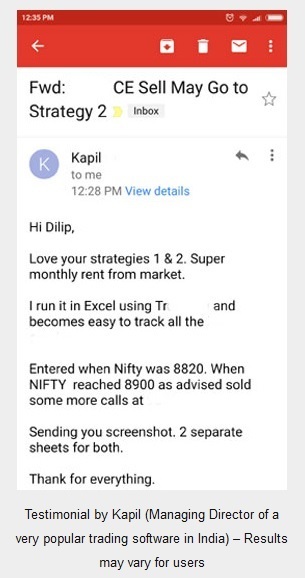 This is major problem with Option Buyers. Another way is to Short a Call. But then shorting a call also has unlimited risk on the upside. If you feel a stock may go up you can always buy in cash, but you cannot short in cash. Only way is to trade derivatives to take benefit of a stock falling. 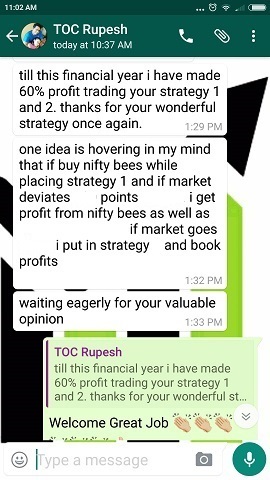 There are a lot of ways to hedge a future or option but hedging also has to be smartly done else hedge will be of not much use. 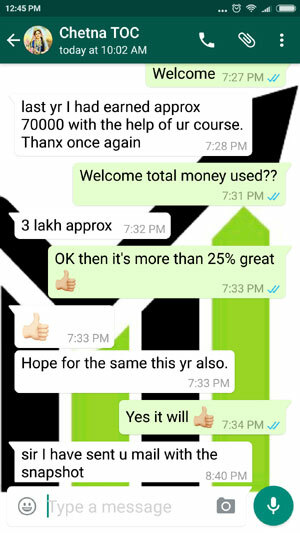 You can do my course and learn hedging, learn the strategies and trade in a better way rather speculate and lose huge.